This unit consists of 16 Bin collator, a fold-stich unit and a trimmer. 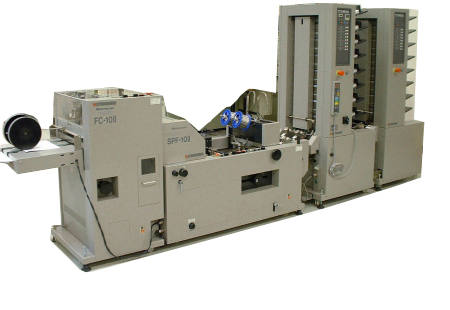 This machine collates flat sheets, then folds, stitches and face trims to produce finished books. Typical finished sizes are from 8.5 x 5.5 to 8.5 x 11.